The web is a great place for shopping and banking, but it can bite you right in the personal finances if you aren’t careful. Almost every website you visit asks for your personal info, so you end up handing out your email address, phone number, and credit card all over the Internet…and then the inevitable happens: websites lose your data in a hack or a breach. 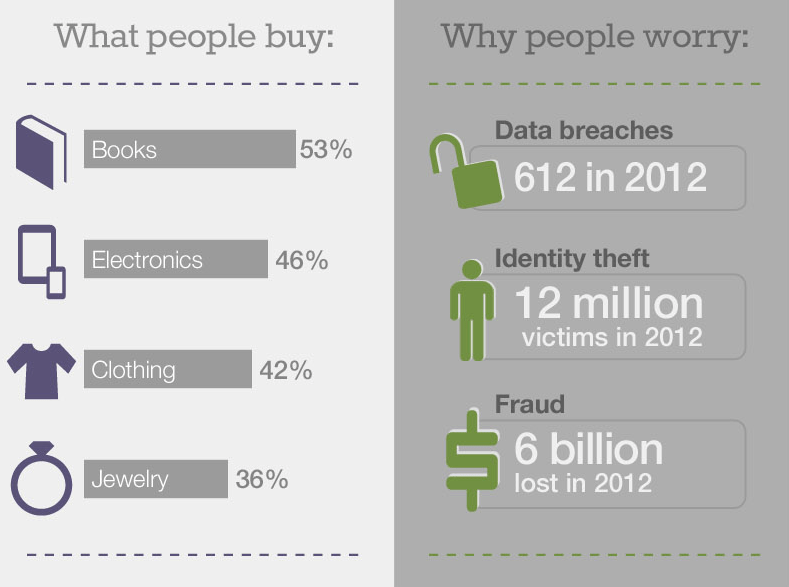 Then you’re at risk of identity theft, which costs victimizes 1 person every 3 seconds in the US and costs an average of $4,930 per victim. And it’s not just hacks that can harm your finances: it’s unfair pricing and digital profiling, too. Some companies will show you higher prices than other people for the same item, just based on your interests and browsing history. 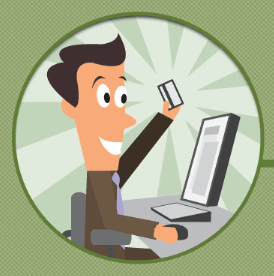 Virtual credit cards work just like regular credit cards, except they don’t use your real credit card information. They have a different card number, verification code, and expiration date. With the MaskMe browser add-on, you can generate a unique virtual card for each website where you shop. That way you can shop online like normal, but if a website loses or abuses your credit card on file, it won’t hurt your real credit card. 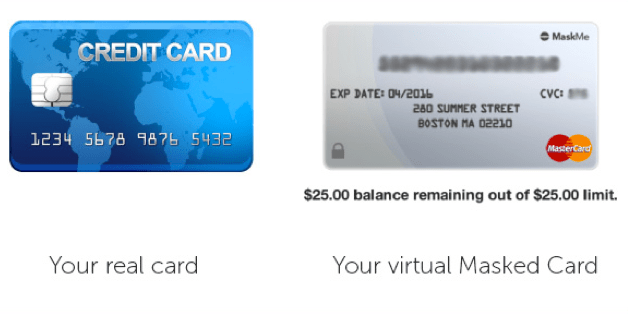 And a bonus: using a virtual card also means that you won’t have to spend hours going from site to site wherever you have a subscription and updating your credit card if you ever lose or cancel it. Just deactivate the one compromised card, and you’re set. In addition to our MaskMe service, many major banks–like Citi, Discover, and Bank of America–offer virtual credit cards. 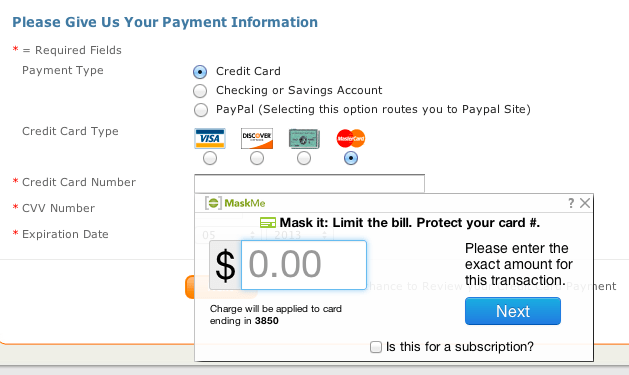 The downside: they won’t automatically fill in your card info like MaskMe will. It’s happened to most of us: you check out, don’t read the fine print, and suddenly you’re getting charged $20 a month for something you never intended to buy. Unless you’re watching your credit card statement closely, you can miss these charges. This is another reason to use virtual or Masked credit cards: you pre-authorize only the amount you actually intended to pay, so sleazy merchants can’t tack on additional, hidden charges later. Trackers follow you across the web, collecting and selling personal information like the articles you read, your favorite sites, your Facebook friends, your buying habits, and the videos you watch to build super-detailed profiles about you. The top 5 shopping sites in the US have between 14 and 18 different trackers on them. Sometimes this data leads to price discrimination, also called “dynamic pricing,” where you’ll see higher prices than someone else for the same item. Price discrimination is legal as long as the price differences are based on reasonable business practices, like rewarding loyal customers, and not on the basis of protected categories, like race or gender. Block online tracking for free with a browser tool like DoNotTrackMe to reduce the risk of unfair pricing. Unfair pricing can happen through search engines, too, not only on shopping sites. For example, you probably didn’t know that shopping results you see on Google are actually ads targeted to you. That’s why it’s a good idea to use a private search engine that doesn’t know who you are, so it can’t target products and prices to you specifically. 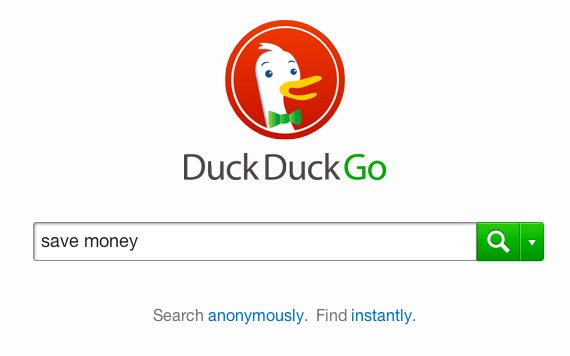 We recommend DuckDuckGo. Stop hackers and insecure websites from getting your credit card information by using a Virtual Private Network (VPN) when you make your purchases online. Using a VPN secures your connection to all the websites you visit, so think of it like HTTPS (those secure URLs designated by a little padlock in your browser’s address bar) for the entire web. Many VPNs are free and easy to use, like FoxyProxy, Hotspot Shield, or Private Wifi. Many shopping sites require you to create an account with them to make a purchase, and they’ll often sign you up for unwanted marketing emails without your knowledge. Worse still, they may sell your email to dozens of other companies that they work with (or who are simply in the market for personal data), and hackers using a stolen email and password can access things like stored credit cards and other personal info. Use a Masked Email (also referred to as an alias, disposable, or temporary email) to receive your important email confirmations, but block it later if you start getting spammed. Masked Emails work just like normal emails, but they forward to the personal email inbox that you select, and you can make as many as you need. Then if your account on a shopping site is ever hacked, the hacker only has your one-use email.